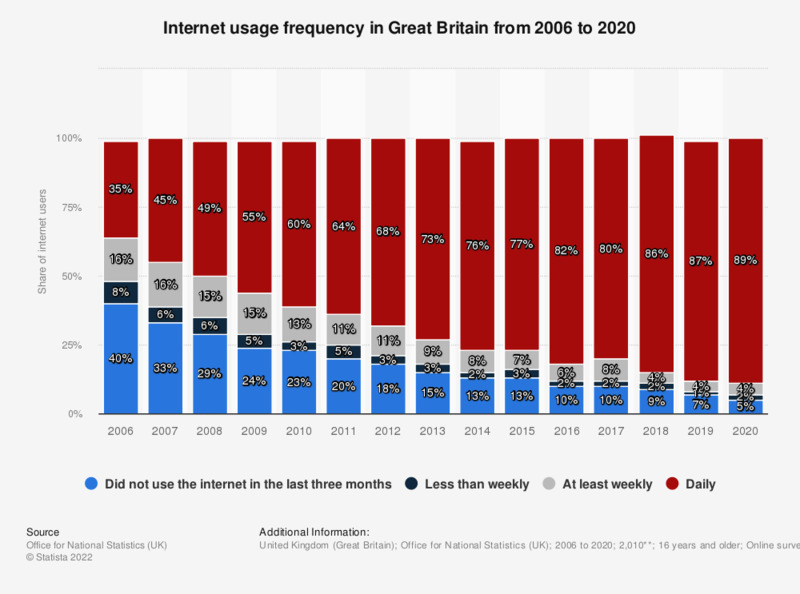 This statistic displays the frequency of internet use in Great Britain from 2006 to 2018. In 2018, 86 percent of Britons used the internet daily. British internet users started using the internet more often during the period in consideration. Percentages may not sum to 100 due to independently rounded components.